Try our Computer Promotional Mouse Pads, your customers will appreciate receiving them. Mouse pads for business and promotional use at a low, wholesale price. These are 1/8" thick - not "flimsy" pads. 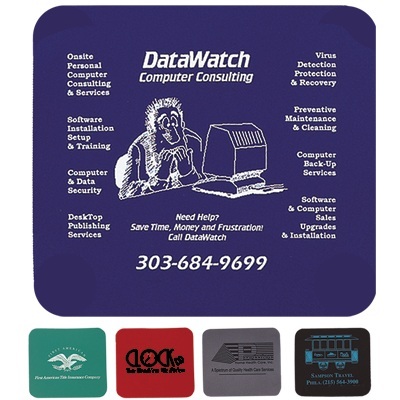 Use a custom printed mouse pad to increase name recognition and customer contact. Give out samples with your company's logo and contact info. COLOR(S) AVAILABLE: Black, Red, Blue, Teal or Gray. Standard colors are no extra charge. If a PMS Color match is needed, additional $50 charge per color match will apply.